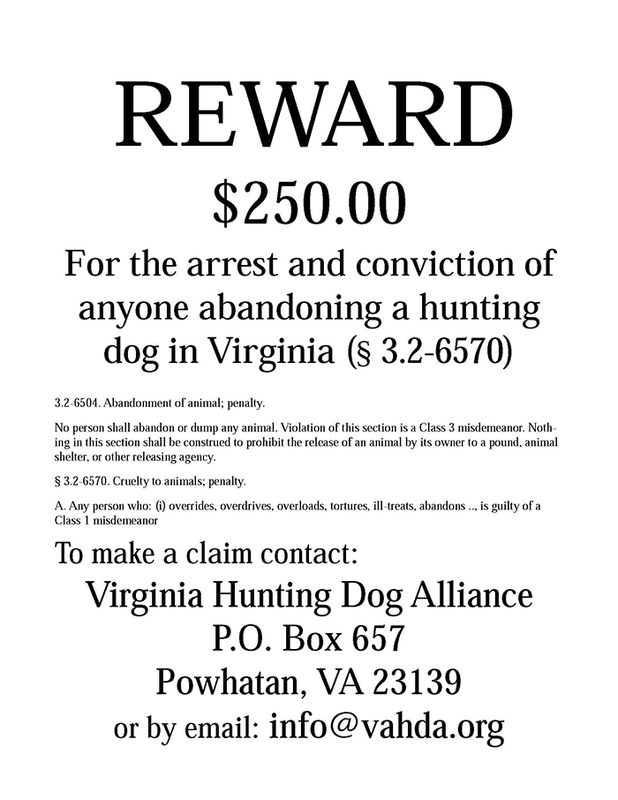 We do not tolerate the abandonment of a hunting dog in Virginia, and offer a $250 award for the arrest and conviction of anyone who does so! 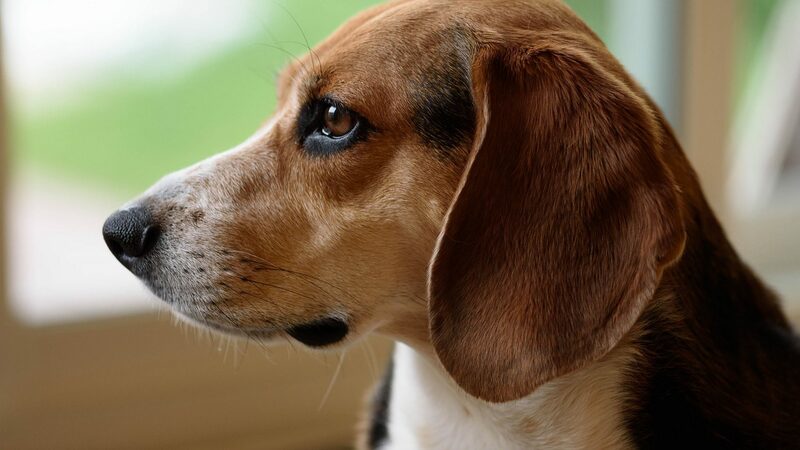 The number of Virginia counties in support of our heritage of hunting with dogs –especially hounds –has grown to twenty-four. The “Brunswick Resolution” is a defense of the rural culture of Virginia. This Resolution has been passed by Charlotte, Brunswick, Mecklenburg, Lunenburg, Caroline, Spotsylvania, Charles City, New Kent, King and Queen, King William, Page, Isle of Wight, Northumberland, Essex, Nottoway, Prince George, Goochland, Southampton, Greensville, Cumberland, Buckingham, Sussex and Pittsylvania.